IIST Recruitment 2019: Indian Institute of Space Science and Technology (IIST) / www.iist.ac.in is conducting recruitment processes to fill 5 vacancies. As of now, there is one recruitment drive going on for Apply Online for Research / Project Fellow Post. IIST Recruitment 2019 - Walk in for Resident Assistant Hostel Manager Post in IIST, Thiruvananthapuram, Kerala on Contract Basis. Candidates are invited by Indian Institute of Space Science and Technology (IIST) to attend walk-in-interview to be held on 21 Mar 2019 for 2 vacancies. IIST Recruitment 2019 - Apply Online for Technical Assistant Posts in IIST, Thiruvananthapuram, Kerala on Temporary Basis. Online Applications are invited by Indian Institute of Space Science and Technology (IIST) from 14 Mar 2019 04:00 PM to 18 Apr 2019 05:00 PM for 2 vacancies. IIST Recruitment 2019 - Apply Online for 11 JRF, SPF & JPF Posts in IIST, Thiruvananthapuram, Kerala. Online Applications are invited by Indian Institute of Space Science and Technology (IIST) from 19 Feb 2019 04:00 PM to 12 Mar 2019 till 05:00 PM for 11 vacancies. IIST Recruitment 2019 - Walk in for Consultant Post in IIST, Thiruvananthapuram, Kerala on Contract Basis. Candidates are invited by Indian Institute of Space Science and Technology (IIST) to attend walk-in-interview to be held on 25 Jan 2019 09:30 AM for 1 vacancy. IIST Recruitment 2019 - Walk in for Medical Officer Post in IIST, Thiruvananthapuram, Kerala on Contract Basis. Candidates are invited by Indian Institute of Space Science and Technology (IIST) to attend walk-in-interview to be held on 07 Jan 2019 for 1 vacancy. IIST Recruitment 2018 - Job notification for Post Doctoral Fellow Post in IIST, Thiruvananthapuram, Kerala. Applications are invited by Indian Institute of Space Science and Technology (IIST) on or before 31 Jan 2019 for 1 vacancy. IIST Recruitment 2018 - Apply Online for Research / Project Staff Posts in IIST, Thiruvananthapuram, Kerala on Temporary on Co-terminus Basis. Online Applications are invited by Indian Institute of Space Science and Technology (IIST) from 10 Aug 2018 04:00 PM to 31 Aug 2018 for 5 vacancies. 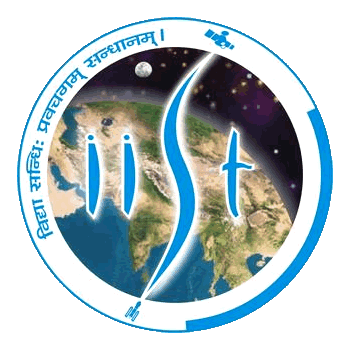 IIST Recruitment 2018 - Job notification for Resident Assistant Hostel Manager Posts in Department of Space, IIST, Thiruvananthapuram, Kerala on Contract Basis. Applications are invited by Indian Institute of Space Science and Technology (IIST) on or before 31 Aug 2018 for 3 vacancies. IIST Recruitment 2018 - Walk in for Counsellor Post in Department of Space, IIST, Thiruvananthapuram, Kerala on Contract Basis. Candidates are invited by Indian Institute of Space Science and Technology (IIST) to attend walk-in-interview to be held on 07 Aug 2018 01:30 PM for 1 vacancy.